I'm a big fan of Greg Capullo. I've studied his work for years and I've learned a whole lot about page flow and composition from his work. His Spawn run isn't anywhere near the notoriety of Watchmen, far from it, but if Alan Moore were writing the book full time I'm sure Capullo would have gained far more respect than he has now. But I'm really looking forward to this book, and hopefully we'll see more Capullo on the shelf soon. There are rumors about him working on a new Spawn Batman crossover. "The comic artist's artist!" Ask anyone who knows the medium and that is what they'll tell you about GREG CAPULLO. This collection features many never seen before pieces and a behind the scenes tutorial. 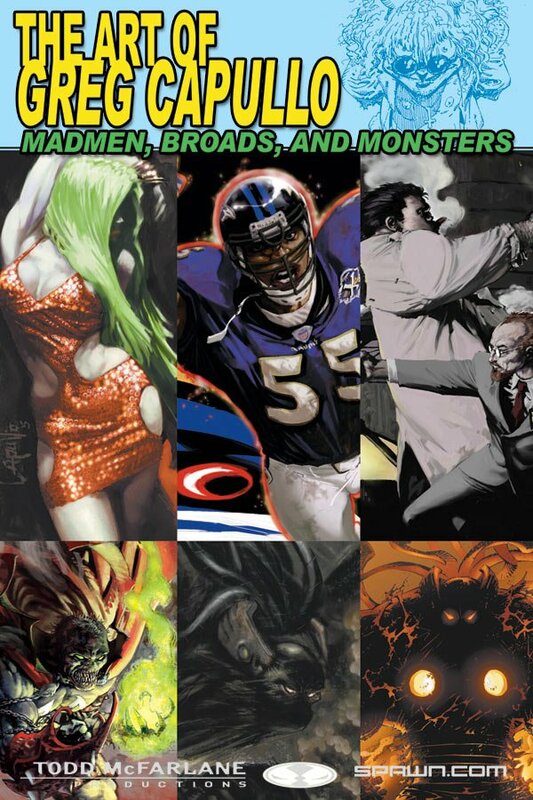 Containing CAPULLO's very best comics and illustration work, this stunning collection of drawings and paintings finally removes the text and logos from all those covers, and lets you take a good long look at the art itself. A must not just for SPAWN fans, but for anyone with an eye for comics art.